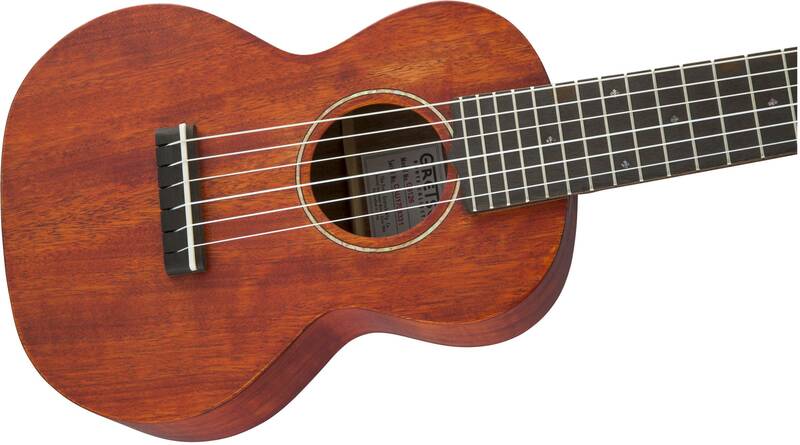 The tenor-size Gretsch G9126 Guitar-Ukulele lets any guitarist sweeten the proceedings with beautifully lilting ukulele tones. 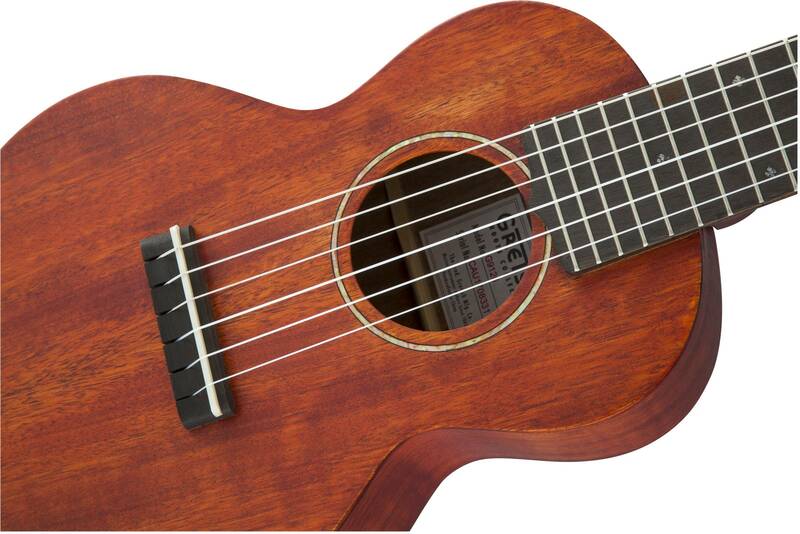 With six strings tuned "A" to "A" in standard guitar intervals, the G9126 is ideal for extended-range uke arrangements and is perfect for the younger player. 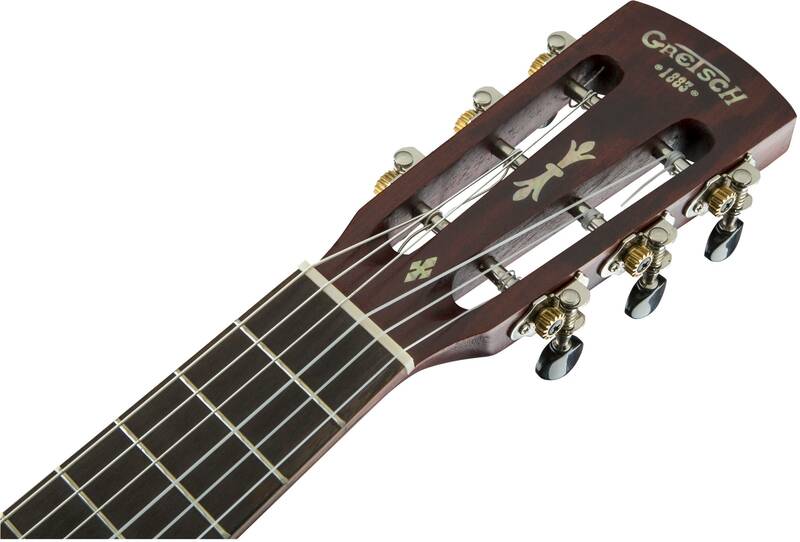 Its premium features include a solid quartersawn mahogany top, mahogany back and sides, one-piece mahogany neck with bone nut, 19-fret ovangkol fingerboard with "snowflake" position markers, 17" scale length, ovangkol bridge with bone saddle, Grover® Sta-Tite™ tuners and "open pore" semi-gloss Honey Mahogany Stain finish. A deluxe fitted gig bag is included.